One year ago, Shasta Ventures led the Series A round of The Pill Club. I wrote a draft blog post back then, but we decided not to announce the investment. The company was growing very quickly, the team was heads down on execution, and we never felt the need to talk publicly about our fundraising. That changes today, when the company is announcing a $51M Series B financing. We are delighted to have Kara Roell and Carle Stenmark at VMG Partners, Frederique Dame at GV, and Brian Yee at ACME Capital join Shasta, Kris Fredrickson, and TJ Nahigian at Base10 Partners as investors in this special company. A typical package from The Pill Club — birth control, important information, stickers, and chocolate. One of the most important developments in healthcare of the past century is the invention of the birth control pill. Two forms of the pill are on the list of the world’s most essential medicines. Nearly 10 million women in the U.S., and over 100 million women globally, take the pill daily. But access to the pill and other birth control methods is not universal. National reports estimate that nearly 20 million women in the U.S. live in contraceptive “deserts,” meaning that they lack reasonable access to a public clinic. And even for women who live in areas with doctors and pharmacies nearby, the experience of getting birth control can be painful. You have to get a prescription from your doctor. You then need to get the prescription filled at a pharmacy. You need to remember to go back to the pharmacy before you run out. And you may be charged co-pays along the way, even though the contraceptive mandate under the Affordable Care Act means that almost everyone in the U.S. is able to get birth control for free. The experience of getting birth control is in desperate need of reinvention and innovation. Fortunately, Nick Chang, Milagros Pinon, and the amazing team at The Pill Club have come up with a solution. One of The Pill Club’s many happy customers :). 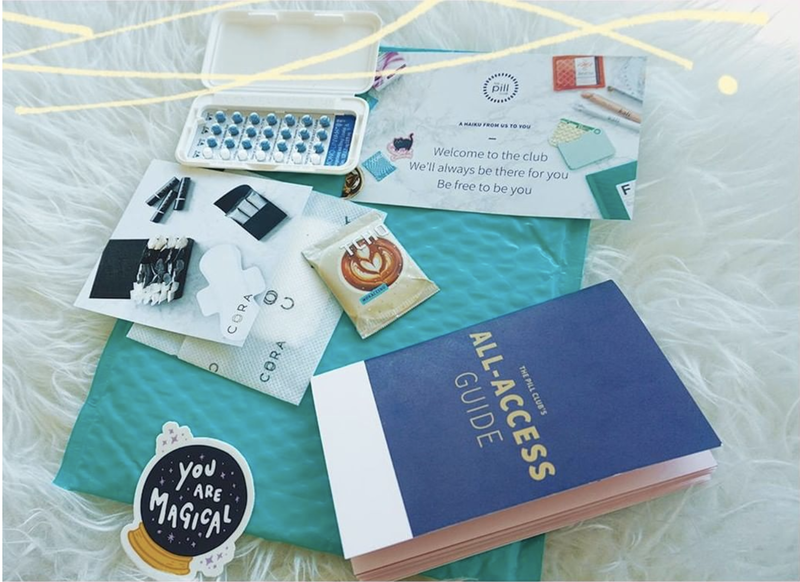 You sign up for the service, have a telemedicine consultation, get a prescription for the right birth control for you, and get packages of it delivered to you directly on a recurring basis. All in a few clicks. All for $0, if you have insurance. If you ever have a question along the way, you can text the company’s licensed professionals for help. The company even makes the whole experience fun, by adding gifts such as chocolate and other surprises in every package. The team has been working on perfecting the operations, brand, and experience for several years, and it shows. The company has grown to tens of thousands of happy women as subscribers in just a few states, and will be expanding nationwide soon. The company’s net promoter score (NPS) is higher than that of Apple, Costco, Amazon, and yes, Walgreen’s and CVS too. At Shasta, we’ve been privileged to invest in category-defining brands such as Nest in the connected home and Dollar Shave Club in razors. We’ve partnered with healthcare technology innovators like Doctor on Demand and Color Genomics, and subscription product services like The Farmer’s Dog and Imperfect Produce. What makes all of these companies special is that they’re on a big mission. And we couldn’t be more excited to partner with The Pill Club team on their mission to build a category-defining brand in birth control and in women’s health. What’s happened in the last year? The Pill Club has been on a tear. The service has expanded to deliver birth control nationwide, and the company can prescribe medication in 35 states. The company serves 7X the number of customers it did at the Series A, and has 5X the employees. And with today’s announcement, we are well positioned to grow significantly in the years ahead to provide women everywhere better access to healthcare. If you’re as fired up as we are, come join us!